This weekend over on our other site https://weeklyprompts.com the photo-Challenge is Supernatural. We suggested our readers take a look at their photo collections and we asked if any of their pictures showed something unexpected. The other day while walking around the side paddock with Woody, our beagle, I noticed the farm manager had brought over a group of cows from across the lane. Woody and I walked back across the garden to take a closer look, and as my phone just happened to be in my pocket, I decided to take a couple of photographs. The late afternoon sun was shining low in the mid-October sky, and although the angle from the east was unlikely to produce the best shot, I went ahead anyway. There’s something surreal about this first picture, look to the middle left, the sun is playing tricks, or is it? A glimpse into an alternative universe perhaps? Looking at the beams of light I almost expected to see the cattle floating heavenwards! Look at the stone wall, what do you make of the small blue light? Oh No! What happened below? Something’s stolen their faces! Look Below. Could this be an extraterrestrial nest? Final one. Did I stumble across Alien Spawn? What can I say? I have a vivid imagination and anyway this was fun! That’s one of those “Are they facing towards, or away from, the camera?” shots! In this instance towards. Strange how the bright sun blocks out their faces. Fun though. I need more info on the “Supernatural” photo. That just looks soo good. I am also guessing the last photo is supernatural cow poop? (PS just curious, is it better to close comments if hosting a challenge rather than keeping them open? Okay. Number 1 was a quick snap taken with my iPhone 7S, the setting was simply set to ‘Photo’. I’ve no idea why the blue light is there and can only assume the bubble apparition to the left of the weathervane is due to the sun on the camera lens. Number 4 is dog hair from a freshly brushed Woody! Number 5 is fungus, it spread itself quite wide, you could almost say it has the mushroom effect! Odd colour though. A number of reasons for this. Firstly, we wanted to create something similar to WordPress’s Daily Prompts where pingbacks immediately stood out and weren’t jumbled up with the normal comments. A site that would give Gerry and me a shared interest that was completely separate from our personal sites. Our intention was to foster a new community, a place where our visitors would take the time to visit others and make new friends. Some of our readers were new to prompts and we hoped that a pingback only page would make it easier for these people to take part and view other responses, exactly as it was with WP Daily prompts. Personally, I prefer to see neatness, and the sites that host prompts alongside their personal articles are too busy for me. Some are a source of confusion, especially for newcomers, they’re often difficult to navigate and figuring out which article is the prompt and which is a response to someone else’s prompt isn’t easy, especially with those sites that publish articles several times a day. Mixing both pingbacks and general comments in the ‘Comments Section’ creates a disorderly blend that can be tedious to sort through. We have a Talk to Us page on Weekly Prompts that was created especially for questions and comments. It was used a lot in the beginning but not so much now, generally, I delete those comments after three or four weeks. Thank you so much for taking your time to respond. I really appreciate it 💕 The photos are great captures. Did you do the “alien” one on your challenge page? I am assuming it is a photoshop type thing, but if it was caused by shadows that would be cool too! When I took the one I used (which was the storm clouds with the hammer cut out) I didn’t really notice the shape and then how the mist created a “Dementors” (from Harry Potter) look, until I looked at the photo on the screen after I took it. Then I tried to capture it on “purpose” to make it look more like how I saw it, but just couldn’t get the settings right. Then again, I always think clouds have images in them some where. Kind of like Gods own Rorschach Test. 😬 Anyway, I enjoyed this one, and your responses. I was hoping that keeping the passes completely separate would be clear enough, but I am not sure. I could create a bit link that leads right to the Page of the challenge, but I am not sure how that would work. I also thought about doing a new WP site, but in all honesty, it takes me 2 -3 hours just to write up my daily post, and that does not include going out to take pictures. So I am trying to make it something that is easy and won’t take a lot of time to prepare and that is something that people can come and go and participate with no pressure. I so appreciate your challenge. It really fills that void! I do miss the way the WP challenge was able to post the photo along with the links their “comment” and have yet to see that on anyone else’s site except for the ones that use Mr. Linky or something similar. I also really like your idea of no comments, because then anyone could just leave a comment on the main page of the challenge and leave that for just ping backs. The header picture on the Weekly prompts Challenge was one downloaded from Pixabay. I loved the photos on your page the dementors were perfect for the challenge. I see faces in everything especially clouds. I did see your new challenge, good for you and I shall be taking part on Friday with whatever I can find. Play it by ear, see what works best for you. You are right, the readers have an opportunity to comment on your main page so a pingback only page could work. Before we set up our site I contacted wordpress and asked for advice on how best to show pingbacks. Apparently, a business account is needed for the site to look exactly as the Daily Prompts site with site pictures. That was out of the question so I negotiated a hefty discount for a premium account instead (right place right time). Funny story here. There’s seven hours time difference between Gerry and me and because of commitments on this particular day we’d not had a chance to communicate. So, having set up the initial site in basic form with the code in place. I passed it to him and said change anything to suit you and I went to bed. The following morning I got up and found a whole new theme, but with code that was written for a totally different theme! WordPress were very obliging and kindly wrote a new set! I never told him. Anyway he was happy to let me loose and create a welcome page, all the stuff I enjoy. I’m delighted you like Weekly Prompts and our challenges, thank you for those kind words. I will help if you need it, but I’m sure you’ll be fine and I hope you enjoy it as much as we do. The new Dr. Who? (Priorities, 😂) Thank you so much for the reply (as always!💕) Thank you for the compliments, of course we always harder on ourself than anyone else, but I do appreciate it! Thank you for looking closer at the challenge “home” page. I do appreciate the feedback. I really wasn’t looking into doing it, but sometimes a sign or logo causes you to stop and do a double take. Most of the time I see them, I ask whoever I am with if they saw it as well. Thats when I realized I should really run something for folks to contribute to. I guess it’s just my sense of humor (humour 😛) that makes me laugh at that stuff.I think also because, I think it was Johnny Carson, who use to have a segment on his Late Night show where he would read ads that were found by people. I also think Consumer Reports has a spot in the magazine that shows misprinted ads that change the meaning. So I really look for those things and when they are there they kind of just jump out. I also think I get really lucky sometimes when I am watching a show on TV and see or hear something not quite right, and with DVR all I have to do is rewind it and record it on the phone! I have a couple of those I will use at some point during the challenge. That was super nice of WP to do that for you. And there is no way I am going to do a business account either. In fact, it was only this year when I decided to get the basic paid subscription. If I didn’t I would not have any storage left. I am so grateful that you have spent so much time helping me out and your advice. 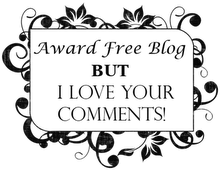 I feel blessed to have found such a wonderful circle of blogging friends who are under no obligation to reach out/ respond, and who have no reason to “mask” their comments. (This is my jab at other social media platforms) it is the biggest reason I have ditched SM altogether, and gone to a platform that my family doesn’t even know I do. I mean if they read any of the posts they would obviously figure out it was me 😁. Yes the New Doctor Who, we’re on week three. I didn’t think a woman Doctor would work but she’s brilliant so I needed to eat my words. I didn’t like Peter Capaldi’s portrayal of the Doctor he was too old for the role. It was bad casting, you can’t jump from thirty something and forty something heart throbs to a sixty year old. They wouldn’t have cast a sixty year old woman but did so with a man! I won’t be doing any prompts/ challenges until November, GC will be doing them while I take a break, but I’ll be popping in and out of WordPress and I’ll be taking part in your maiden voyage! I watched the first episode and I did like the woman doctor. She actually irritated me for some reason at the beginning. I don’t know if it was line delivery or the script, but there was something off. But as the episode rolled along, I stopped “expectations” and found her to be very good and quite entertaining. And totally agree with the last, I stopped watching because I couldn’t watch him. We heard that Americans couldn’t understand her Yorkshire accent. She’s not got a very broad one, a true Yorkshire accent is really difficult to understand. I’m Yorkshire but not much trace of an accent. I agree the script at the beginning of the first show was a difficult one just as it always is when the doctor emerges as a new confused character. I’ve seen such bubble effects of light before, but that intense blue blob is definitely strange. Even if you had been wearing something reflective, it must have been most unusual to convert the sunlight into such a concentrated beam and such a vivid shade. Maybe you gave it a ‘hard stare’ like Paddington Bear? I agree Les it is a very strange occurrence. I’ve not seen one before. Another very strange happening was when I opened up the post to edit. There was a big gap between paragraphs but in the middle were the words ‘They’re Here’ ! I imagine I must have typed them to make a funny comment, I don’t remember doing that. I haven’t deleted the words but they’re are no longer in the text! That is truly strange. Sometimes really insignificant things can provide the biggest puzzles, like a ‘form’ I used for making dollhouse hangers disappearing from a table in a house and room only we had access to. We even moved the furniture out to hunt for it. Three days later it was back on the table in the position I remembered having last seen it. Mutual accusations were vehemently denied. Fun one! and a Conspiracy Theory is born! Doesn’t a ring of mushrooms means fae are about? Glad you like it, thank you. Not sure about the mushrooms, isn’t it toadstools that the fairies dance around? I had to go check as I wasn’t sure. but it looks like it’s mushrooms. I much prefer my spotted toadstool fantasy! Your speculations cracked me up. My dad loved ufos so I wished I could have shared this with him. He would have adored your theories. That happens so often doesn’t it,and very sad. I’m so sorry for your loss. What can I say? I have a vivid imagination and anyway this was fun!???????? didn’t you tell me you’ve been off the booze of late????? I’ve had the odd glass!